The perfect fashion occasion just in time for Spring in the Windy City! This past Wednesday I attended “Spring Fashion Envy” hosted by one of my favorite local stylists, Benjamin Cottrell. Not only was this industry fashion mixer perfect for mingling with my fellow fashion friends but was also a wonderful opportunity to meet a few new faces and network with local Chicago talents. The much anticipated spring event was held at the beautiful NV Penthouse Lounge in downtown Chicago. The wonderful Benjamin Cottrell and Amour Genesis! After receiving our complimentary drink tickets, which were actually single playing cards, the guests headed to the eighth floor for drinks, hors d'oeuvres, fashion and mingling. Our fabulous drinks were sponsored by the one and only, “Harmonie Hpnotiq” liquor- perfect for the event’s blend of hip and trendy fashionistas! One of our signature drinks was “Harmonie Hpnotiq’s” delicious “Bubbles & Berries” cocktail mixed with a hint of champagne to top off our glamorous evening. In addition to enjoying our refreshing drinks, we were also greeted by an assortment of delicious RA sushi to make the evening just right. Some of the major industry leaders that were present at Spring Fashion Envy include Benjamin Cottrell (Stylist and Event Producer of Benjamin Cottrell Designs), Omar Villalobos (Vice-President and Co-founder of GOCA Designs), Robert Sharod (Founder and Designer of Atha Sharod Bridal), Shari Duffy (Owner and Event Planner of Ladies Night Chicago), Renita Manley-Garrett (Executive and Wardrobe Lifestyle Coach, Stylist and Personal Shopper of Revamped Image Consulting), Nicki Brashear (Owner of Fashionista Chicago), C. Chic (Author, Marketing Consultant and Fashion Enthusiast of C. Chic), Katie Cahnmann (Co-founder of NowYouKnow), Raven (Founder of Chicago Fashion Connect), and many others! The Glam Girl Squad! From Left to Right: Melanie Chris, Shari Duffy, Amour Genesis and Renita Manley-Garrett! Amour Genesis and Renita Manley-Garrett enjoying the lovely spring weather at NV’s Patio area! It was definitely a relaxing night on the town. Amour Genesis and Omar Villalobos (a.k.a. Papa Goca) from Goca Designs! This is one of my most Favorite designers in the Fabulous world of fashion! 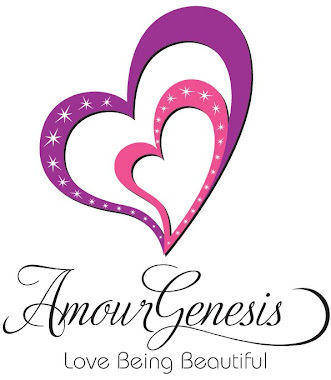 The talented Robert Sharod with Amour Genesis! Amour Genesis and the Fabulous C.Chic! Amour Genesis and one of our Amazing event photographers, Mark Lattimore! Our night was filled with memorable great times, endless networking and even a special birthday song for our “Ladies Night Chicago” founder, Shari Duffy. What a perfect way to kick off spring and share your appreciation for others in the fashion industry. Spring Fashion ENVY was just the fitting occasion to start our much anticipated season off in style! Enjoying a glamorous evening with my favorite fashion friends is always trendy and très chic! GIVEAWAY: “La Beauté du Printemps” Gift Bag! Enter to win the “La Beauté du Printemps” Gift Bag! The Glamorous Life (Glamoursode 3) The Amour Genesis "Glam in the City" 24th Birthday Celebration!